Australia is notorious for its strict video game Classification Board, having “banned” games from retail sale in the country by refusing them classification. 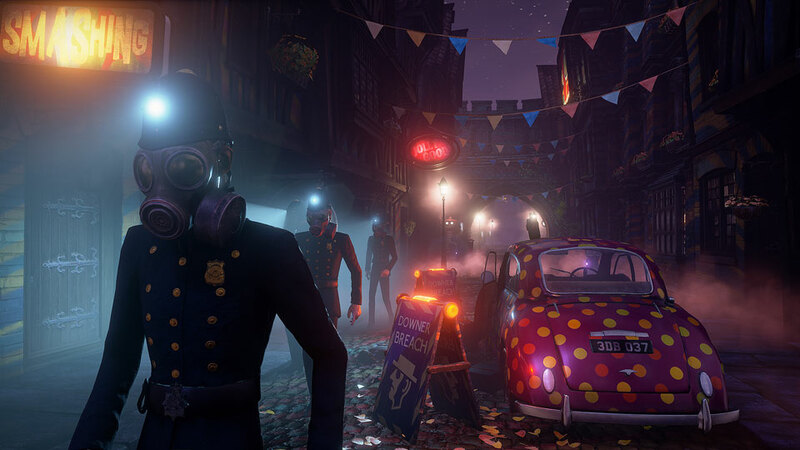 We Happy Few was met with the same fate; initially slapped with a ban, narrative designer Alex Epstein spoke out against this hoping to convince the board that this isn’t a glorification of drug use. Epstein emphasized the fact that the drug is fictional and meant to make a social commentary on the dangerous extremes counterculture ideology can reach. A three-member panel of the Classification Review Board has unanimously determined that the computer game We Happy Few is classified R 18+ (Restricted) with the consumer advice ‘Fantasy violence and interactive drug use’. impact of the classifiable elements in the computer game was no greater than high. Computer games classified R 18+ are legally restricted to adults. Persons aged under 18 years cannot purchase computer games classified R 18+. Some material classified R 18+ may be offensive to sections of the adult community. Consumer advice is additional information about the main content of a computer game which is intended to help consumers decide if they want to view this type of material. The Review Board convened today in response to an application from the original applicant, Gearbox Publishing, LLC, to review the decision made by the Classification Board on 21 May 2018 to classify We Happy Few Refused Classification. Computer Games. This is the same framework used by the Classification Board. The Review Board is an independent merits review body. It makes a fresh classification decision upon receipt of an application for review. This Review Board decision takes the place of the original decision made by the Classification Board. The Review Board’s reasons for this decision will appear on the Classification website when finalised. Statement authorised by Fiona Jolly, Convenor, Classification Review Board. This is good news for Aussie gamers, now having the option to purchase the game at retail. We Happy Few is set to release August 2018, will you be picking it up?